What is Longvida Curcumin Extract Powder? 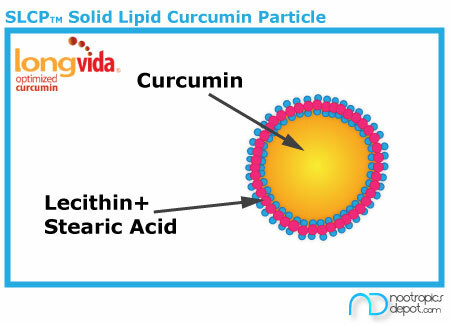 Longvida optimized curcumin extract powder offers an optimized formulation of curcumin, a powerful, natural antioxidant. The optimized formula allows greater absorption of curcumin into target tissue based on factors like permeability, stability, and solubility. Longvida optimized curcumin extract powder was developed in conjunction with neuroscientists at UCLA. The supplement offers a greater safety profile and uses a proprietary process to maximize bioavailability and absorption. Curcumin is the active ingredient in turmeric, responsible for giving the spice its yellow tint. It can also be found in smaller amounts in ginger. When isolated, curcumin is a small molecule alternately called a curcuminoid and has similar effects as other polyphenols, a class of organic micronutrients that often act as powerful antioxidants. As effective as curcumin is, it has generally poor oral bioavailability in its normal form. When not optimized, curcumin often ends up entirely in your colon. Curcumin must often be consumed with other supplements, most commonly a black pepper extract called piperine, to enhance absorption. However, Longvida optimized curcumin extract powder does away with the need for adding supplements by improving curcumin’s bioavailability to ensure that it reaches all parts of your body. It contains no piperine, toxins, or unstable oils from turmeric roots. 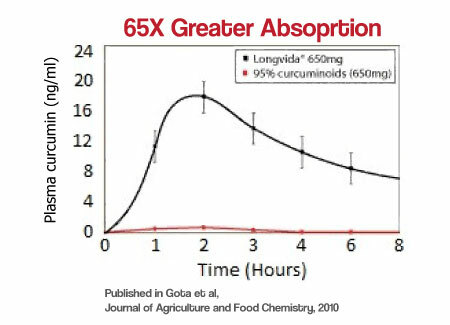 Based on various studies, there are various Longvida optimized curcumin extract powder uses. As a polyphenol, curcumin boasts potent antioxidant properties. Antioxidants are designed to neutralize free radicals. Free radicals are naturally created as a product of cellular oxidation. When left unchecked, free radicals can cause damage to your cells and your DNA, leading to a variety of possible diseases as you age. Antioxidants protect your system from these free radicals. Some studies have also found that curcumin can also boost the activity of your body’s existing enzymes. Curcumin has also been shown to have powerful anti-inflammatory effects. This offers wide range of potential applications. For example, curcumin can reduce inflammation in the colon and digestive tract to help with digestion. The anti-inflammatory properties may also promote cellular health. Some studies have shown that curcumin may have mood boosting properties by boosting serotonin, dopamine, and brain-derived neurotrophic factor. As a dietary supplement, take 200mg of Longvida Optimized Curcumin Extract twice daily. Curcumin Extract may have synergistic effects when paired with a Green Tea Extract. Where to Buy Longvida Curcumin? Nootropics Depot offers 30g or 60g jars of high quality Longvida Curcumin Extract powder. Nootropics Depot's Longvida Curcumin has been lab-tested and verified for both product purity and identity. To learn more, read the Longvida Curcumin reviews and experiences below. include the right size sppon to measure accurately..
please include a measuring spoon that measures 200mg..presently I have to guess how much that is and i think i speak for many..just my second bottle so i don't know effects yet..
**ND Admin- We do not include scoops, as they are not accurate, and we feel they promote the idea you do not need a scale. That cannot be further from the truth. A milligram scale is needed to accurately measure powders. Densities very wildly, and dosing using a volumetric scoops can be very different from day to day. Not to mention, we do not feel all the environmental waste is responsible with sending plastic scoops in every order. We pay for carbon neutral shipping, and try to keep our packaging waste to a minimum. We apologize for the inconvenience. We are considering offering reusable stainless steel scoops that customers can use for transferring powders. That would eliminate the waste, and make it easier for customers to transfer powders. I love the effects of the Longivda. Having it in bulk makes it easy to mess with dosages. It's a lot easier to handle than regular curcumin powder too. Still dont want to get it on your clothes, but it does not fluff up into the air like regular powder.